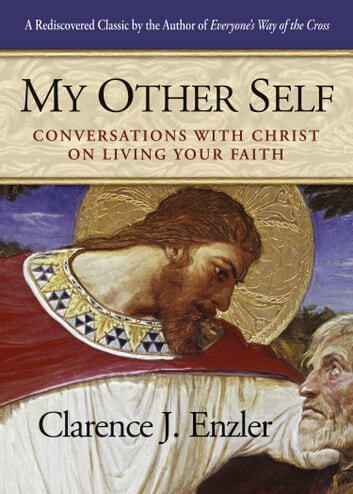 In My Other Self Clarence Enzler—author of the multi-million copy seller Everyone’s Way of the Cross—guides readers in prayerful conversation with Christ wherein the reader is personally addressed as “my other self” and is urged to embody Christ’s love and compassion to others. Modeled on the fifteenth-century classic The Imitation of Christ, this new edition of a little-known Enzler masterwork has now been reissued for modern Christians after being out of print for many years. This new edition includes an introduction from the author's son, Msgr. John Enzler, pastor of the Shrine of the Most Blessed Sacrament in Washington, D.C. In this intimate guide to the spiritual life, Christ speaks directly to the reader, whom Christ admonishes to be his presence of love and service in the world. Through this creative mode of dialogue, Enzler leads the reader through the journey of the Christian life, beginning with the call to live in friendship with Christ and fulfill Christ's desire. He then examines the means of the Christian life: detachment, virtue, prayer, avoidance of sin, and the Eucharist. Finally he explores the goal of the journey: a life of union with Christ as his disciple and complete joy with him in eternity. Each chapter of My Other Self is divided into short, eloquent sections based on scripture and with beautiful prayers for meditation. These convenient divisions make the book ideal for use as a daily devotional, or a guide to prayer. Fr. Anthony J. Paone S.J.